For our second session of Embolden Your Inner Mathematician, we focus on Numeracy and Visual Learning: Elicit and use evidence of student thinking. What is we use powerful tools to elicit student thinking? 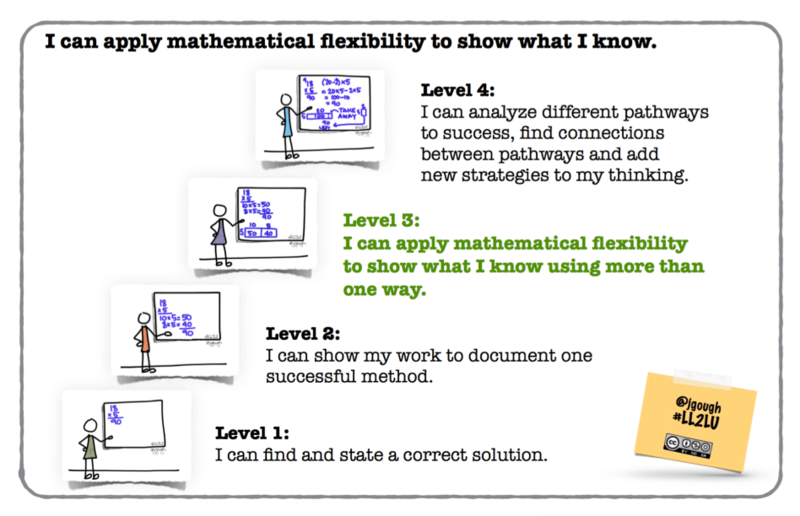 How might we learn about students to deeply understand them as mathematicians? And then, what actions do we take to ensure mathematical success for all? This week’s session began with a gallery walk using Amy Lucenta and Grace Kelemanik’s first five Contemplate then Calculate (#CthenC) lessons found on at Fostering Math Practices. There are many ways to see, or do, any problem. Everyone is responsible for communicating his or her thinking clearly so that others can understand. Everyone is responsible for trying to understand other people’s thinking. 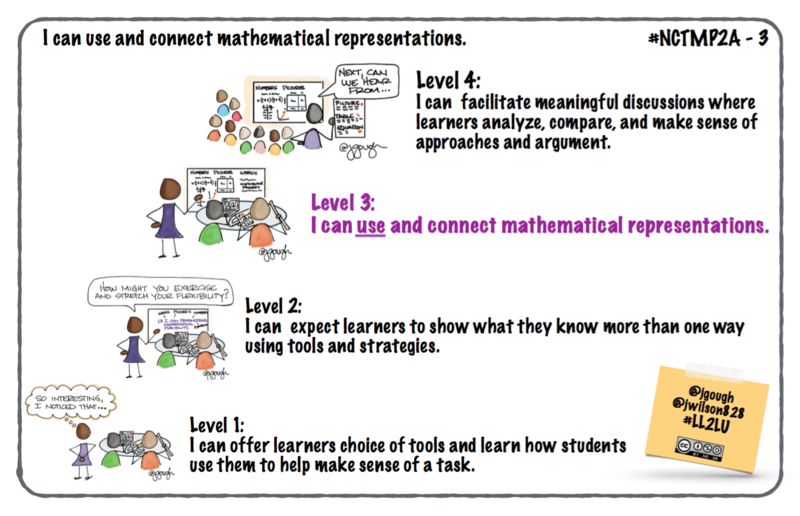 To embolden mathematicians and to prepare to elicit and use evidence of student thinking, teaching teams must practice to develop the habits put forth in 5 Practices for Orchestrating Productive Mathematics Discussions. You can see our teacher-learner-leaders working to deepen their understanding of and commitment to the Making Number Talks Matter: norms, Smith and Stein’s 5 Practices for Orchestrating Productive Mathematics Discussions, and NCTM’s Principles to Actions: Ensuring Mathematical Success for All. How might we continue to deepen our understanding of NCTM’s teaching practices? What if we team to learn and practice? The goal is to ensure that each and every student succeeds in doing meaningful, high-quality work, not simply executing procedures with speed and accuracy. We continue to foster creativity, visual and algebraic representation to strengthen our mathematical flexibility as we learn together. Humphreys, Cathy; Parker, Ruth. Making Number Talks Matter (Kindle Locations 339-346). Stenhouse Publishers. Kindle Edition.